My blog-friend Ann Kroeker is making it a January tradition by hosting another round of this memorization challenge. My first time participating was last January, when I took on the challenge of memorizing the prose gospel narrative from Milton Vincent's Gospel Primer for Christians. And what a wonderful experience that turned out to be! During Mega Memory Month itself, I had the blessing of interacting with and being challenged/encouraged by various other women around the blogosphere as we all took on memory work. I know there's no way I could have memorized the whole narrative by January 31 if it hadn't been for the accountability and encouragement that MMM provided. The experience of meditating on these beautiful words and imprinting them on my mind and heart was extremely valuable for me both during the month and countless times afterwards. What better means for "preaching the gospel to yourself" than having a narrative of the gospel in my mind, ready to pull out and remind myself at any moment? And just a few weeks ago, I had the privilege of using my gift of memorization to bless others. Our church held an informal Christmas celebration, and at the end of the program, I recited the gospel narrative. It was an incredibly moving experience, as the Holy Spirit caused me to truly *feel* the weight of the words and speak them with power and conviction unlike I'd ever done before--probably the highlight of the Christmas season for me. I was so thankful for the opportunity to serve my church in this way! All that to say...I am really eager to begin another round of Mega Memory Month. I won't lie; memorization comes very easily to me. It's simply a gift of grace, and I can take no credit for the ability, only seek to use it well. But *anyone* can memorize--just start with something that's "mega" for YOU, regardless of what's "mega" for someone else. And as Ann is fond of saying, our minds can hold more than we think they can! What better way to start the new year than by working to hide God's Word in your heart? I hope you'll join me! Check back tomorrow for Ann's official kickoff as well as various links and tips to get you started. Merry Christmas from the Kannel Family! 133. the new study our church is starting for Sunday School: Total Church: A Radical Reshaping Around Gospel and Community --just the subtitle makes me excited! The Village Church announced yesterday that pastor Matt Chandler's brain tumor (which I blogged about last week--go check out that video!) was cancerous. I was shocked and saddened to read the latest update on the pastors' blog yesterday. More info and specific prayer requests can be found there. 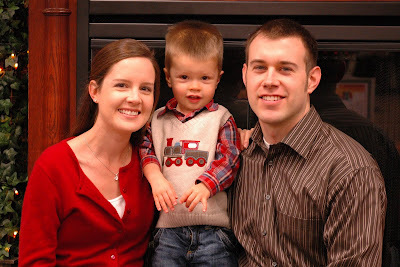 I am praying for him and for his sweet wife Lauren, and their kiddos, and the Village. And, I am praying with this in mind: there is a difference between desire and hope. I am praying with great desire. My desire is that God would heal Matt, hand him to Lauren and the kids to be her husband and their daddy, restore him to the pulpit, empower him to preach his heart out for the magnification of Jesus, and one day let him play with his grandkids. I think God wants me to desire those things and ask Him for them, knocking until my knuckles bleed, making it clear to God how I desire Him to respond. And, those desires are good. But those desires are different than our hope. Sometimes desires are not fulfilled. But, our hope is. He goes on to speak of exactly what hope we have in Christ--incredibly moving. I think you'll find it to be a powerful, encouraging read, even if you have no idea who Matt Chandler is. As always, if you'd like to play along, credit goes to The Simple Woman's Daybook. typical winter dreariness. Yesterday was 60 degrees and sunny, a glorious and unexpected break from last week's cold; today just feels like winter again. Winter is my least favorite season, I'm not gonna lie...but I was reminding myself the other day that if I want the beautiful death of fall, and the hopeful new life of spring, I have to take the winter that comes with it. about my sweet friend Kelly, because an email from her just popped up. Haven't seen her in well over a year, but we have plans to meet next week and catch up. I can't wait! I'm also thinking about grain mills and blenders (researching Christmas gifts). this morning's playdate with my friend Jamie, whom I hadn't seen since the end of October; water with lime; This American Life podcasts; afternoon naps. dinner is in the crockpot--Sloppy Lentils from Passionate Homemaking. Last time they tasted yummy, but the lentils weren't quite soft enough and it was a soupy mess. Hoping a longer cook time will solve that problem. Over the weekend I tried a new recipe: Smitten Kitchen's chocolate toffee cookies, which were a huge hit. I also made several familiar favorites: Paula Deen's pineapple casserole (half the sugar, more cheese); pasta fagioli from A Year of Slow Cooking (half the Tabasco, 2 cans white beans instead of white + kidney...can you tell I can't leave a recipe alone?! ); and a family favorite recipe for broccoli salad. Aaaaand, Steve made breakfast Sunday morning, as is our tradition. This week, as is often the case, was Laurie's fabulous oatmeal pancakes (with all whole wheat flour--half regular whole wheat, half white whole wheat; sucanat instead of brown sugar; and olive oil). super-comfy stretchy jeans, a white tank top, a pink v-neck sweater, a brown scarf, and my favorite tan suede sneakers. to be very frustrated if Elijah doesn't go back to sleep. Little stinker just laid down half an hour ago and I hear him talking upstairs already. He didn't take a good nap yesterday, either...and he did NOT get enough sleep over the weekend because we were so busy and out late twice. Come, Thou Long Expected Jesus by Nancy Guthrie (ed. ); Counterfeit Gods by Tim Keller; When Helping Hurts by Corbett & Fikkert. I just finished Andrew Peterson's On the Edge of the Dark Sea of Darkness last week and have borrowed the second book in the series, North! Or Be Eaten, to enjoy over Christmas break. to connect with several old friends while we are in Ohio...that friends and family will love the gifts we choose for them...that Steve's birthday gift will arrive in the mail soon...that God will continue to open my eyes and soften my heart to the beauty of His Son and help me keep my eyes fixed on eternal things amidst the busyness of the holiday season. the white noise machine coming through the monitor, and Elijah intermittently talking/humming...aaaaand he just reached over and flipped the switch that turns the monitor and noise machine off. Lovely. *off to go try and put him back down* ...well, we'll see how long that lasts. it's beginning to look a lot like Christmas. Lame artificial tree, unfortunately, but I love the soft glow of the lights and the memories attached to various ornaments. Not only is my pre-lit garland for the mantel not working, but the 3M hooks are not sticking to keep it hung either. receiving Christmas cards in the mail from friends and family--especially when they have pictures for me to put on my refrigerator. mostly just preparing for Christmas. Our weekly playdate is tomorrow, but I may skip it since we had a playdate today and I've got so much to do this week. Prayer meeting at church tomorrow night, which I always look forward to, and lots of online shopping to finish before shipping deadlines hit. Matt Chandler, lead pastor of The Village Church in Dallas, is one of my favorite preachers to listen to via podcast. So, like countless others, I was shocked and concerned to hear last week that he had a seizure on Thanksgiving Day and doctors discovered a brain tumor. He had surgery on Friday and seems to be recovering well, praise God. But what really amazes me is his reaction to this turn of events. From the blog post he wrote before the surgery, to the video that was shown at his church yesterday, to his and his wife's Twitter updates, it has been beautiful and inspiring to see this couple (and their church) making much of Christ, even in the midst of unimaginably frightening circumstances. Where exactly did November go, anyway? It's beyond cliche to say that time flies these last two months of every year...but seriously, I was just gathering ideas for NaBloPoMo, and then I turned around and it was over and I hadn't even gotten around to 75% of them. OY. The Christmas season feels especially zooey because of how our vacation time is falling this year. We have just three weeks between our Thanksgiving trip home and Steve's Christmas break from work--so once you cram shopping, Christmas parties, Christmas programs, and a wedding in there (never mind the usual playdates and whatnot)...well, let's just say I am not quite sure how NOT to neglect this blog. I'll do my best...and if nothing else, I'll start chipping away at that list of ideas in January.